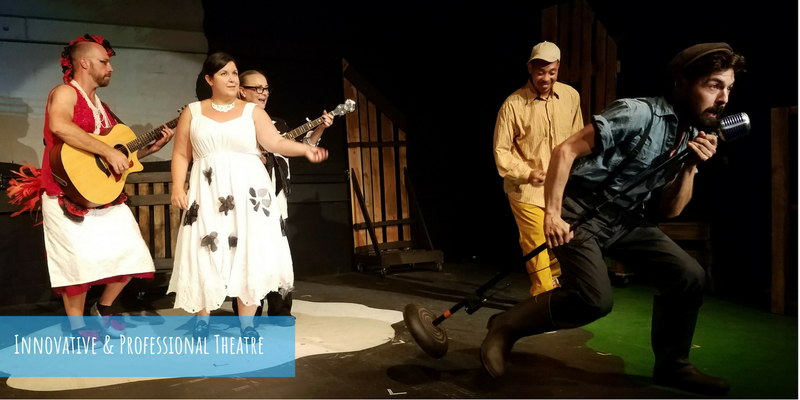 Asheville Creative Arts has accomplished something haunting, romantic, nostalgic and innovative in Failure: A Love Story by Philip Dawkins. Ostensibly, ACA produces children’s theater, but the company’s ambitious works appeal to both youths and adults. This most recent show is onstage at The Magnetic Theatre through Sunday, April 15. The elaborate stage set consists of a giant wall of cardboard boxes lining the back, while shelves and furnishings fill the stage. A video camera and projector are used to film the objects on the shelves, such as an old model car, pitchers of water, photographs and miniature clocks. The items accentuate the telling of this tale of three doomed sisters from a family plagued by misfortune. Because the play is set in the early 20th century, one might think the video imagery would conflict with that era. In fact, it makes the journey seem more magical. Director Abby Felder pushes the boundaries of storytelling in the shows she crafts, and here the risk pays off effectively. Julia Cunningham plays three decidedly different sisters, all ill-fated (no worry about spoilers, since this is part of the set up). 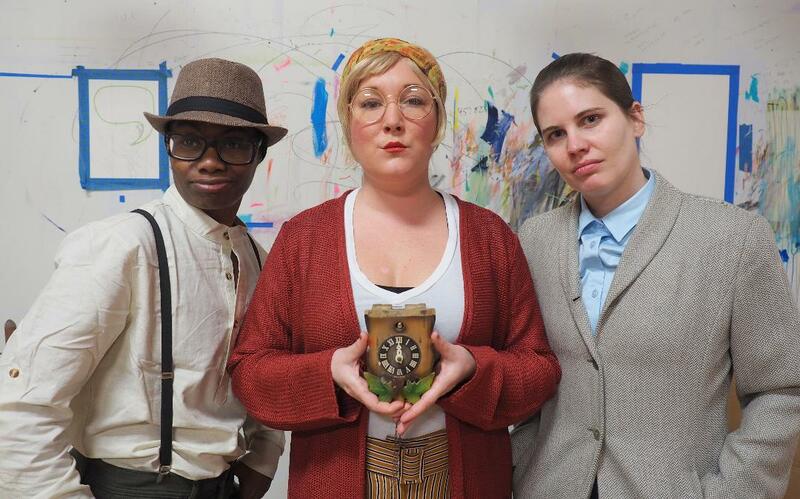 She is Gerty, Nelly and Jenny June Fail, all of whom interact with awkward yet hopelessly romantic Mortimer Mortimer (played with a Jay Gatsby flare by Kelsey Sewell). Cunningham and Sewell have wonderful chemistry and one believes fully in the evolving romances that ensue, each following a tragedy that tests the couples’ resolve as they move forward seeking hope and redemption. Cunningham gives each character a unique quality and personality. Daniele Martin first appears through a curtained window as her character, John N., peels an apple. Martin imbues the lone brother to Cunningham’s series of sisters with a quirky quality. John is socially awkward and finds more comfort with animals than people, yet his relationship with a perpetually grieving Mortimer grows into a unique romance of its own. Katie Jones rounds out the ensemble playing a caretaker. She also performs onstage puppetry and guides the video imagery. She is the glue that holds the show together, helping orchestrate the elaborate technical aspects while also propelling the the story forward. The experience of Failure is one that transports the audience. It will cause more than a few lumps in the throat as viewers are shown something akin to a Sam Shepard play adapted by Wes Anderson. It is a pleasant surprise to find a kid’s show that is this thoughtful and mature. ← A Response to Loss: How Do We Lead the Conversation for our Young People?